Who's first in line to face the champ? 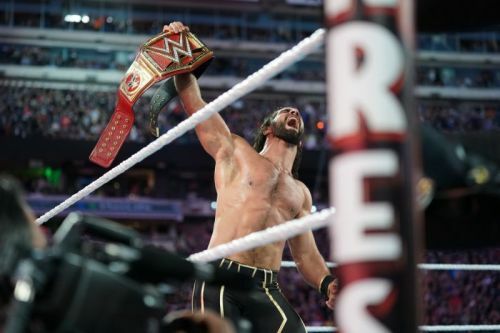 We all saw Seth Rollins AKA the 'Beast Slayer' stand tall and triumphant at WrestleMania 35. On the RAW that followed, he faced off against Kofi Kingston in a match that was interrupted by The Bar. And now, WWE has teased his first feud as Universal Champion. Not surprisingly it's against a fellow Shield member, Roman Reigns. Roman Reigns defeated Brock Lesnar at SummerSlam last year and became the WWE Universal Champion. He would hold the title until October when he had to relinquish the title because of leukemia, a disease he would go on to successfully send into remission. Reigns would return to RAW but be kept away from the Universal title picture for the time being. He took on Drew McIntyre at WrestleMania 35 and emerged victorious. Meanwhile, Seth Rollins defeated Brock Lesnar, making the Universal Championship a full-time title again. Seth Rollins has promised to be a fighting champion. Which means that we could potentially see a few Universal Championship matches on WWE RAW. Reigns and Rollins have great chemistry and could tear the house down!